Is it Iran or Israel behind this murder? Who does the phrase “foreign powers” represent this time, as it is uttered by the official sources? The ones who told “I gave the order” and challenged more by stating “we will do the same if it occurs again” after the shooting down of the Russian plane,those who then attributed the incident to FETÖ (Fettulahian Terrorist Organization), this time, are preparing to announce the policeman who killed the Russian Ambassador as an affiliate to the Gülenist movement. It will not work. Because it is of no importance. You create a social atmosphere opening doors to such a murder and legitimizing it for weeks; you exclaim “There is genocide in Aleppo” while on the other hand framing up with the Russians; you state “God willing, you will be martyrs” to the police; you do not assign anyone, from police officers to teachers, to any institution unless they are religious… And after all that, you use the pompous language of the “foreign powers”, FETÖ and claim that Turkey faces an enormous attack. Turkey is undergoing an enormous attack; it is true. The political power has rendered Turkey open to the enormous attack; yes, maybe true but incomplete. The political power is also on the side of the attackers. After all, this is exactly the point. A devotee to Fethullah… It may be so. It is obvious that they have placed them in the state. A devotee to ISIS or to the other cognate organizations… It may be so. It is known that they are guarded, protected, seen as “our furious boys”. However, theoretically speaking, the devotee can be someone who was influenced by the jihadist slogans and the one-must-be-a-martyr rhetoric of the authorities. What is theoretically possible is bringing a big, indeed a big trouble on Erdogan, while he is already in trouble. The State of the Turkish Republic will get to see what it means to not being able to prevent the killing of the Ankara representative of the enemy it fights against in Syria, and of an ally it wants to use against USA, by a police officer to whom it pays salary. The negotiating power of Erdoğan, who have been playing his last cards, is almost vanished with this incident. Making Russians partner in the investigation of a murder within the borders of Turkey shows that Erdogan apprehended the seriousness of the situation this time. Yet, Turkey is no longer a country about which seriousness is mentioned at all. Putin has shown Turkey the way out by describing the assassination which occurred when critical, consequent negotiations in Turkish-Russian relationships were about to take place, as a “provocation”: Give up on the bargains! It should not be doubted that instead of pushing Erdogan, at exactly this point, Putin has the rationale to get him under his thumb. Yet, he will not stop there. Russia, whose ambassador was killed for the first time within the last 90 years including the Soviet Union, will not give it up as a bad job. 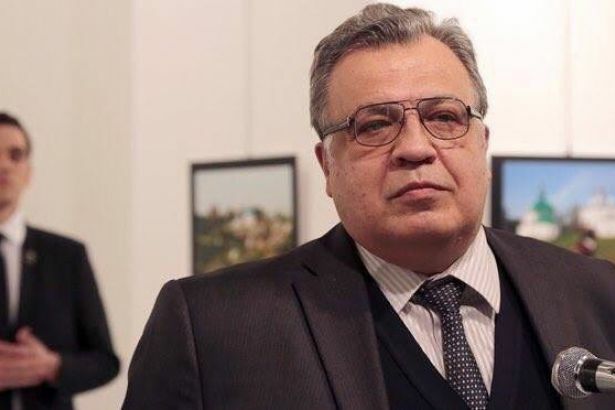 The emphasis on “penalising the ones who committed the murder” is not a diplomatic language and it is an expression showing that Russia will not take the de facto rules of diplomacy in its relations to Turkey. Nobody should doubt that the AKP newspapers declaring “jihad” against Russia before the murder sit at Putin’s table. Russia will now request everything from Ankara, who dispossessed an experienced cadre of them. However, Turkey cannot give anything to Russia without taking anything from USA. Yesterday’s murder thoroughly abolished Erdogan’s already narrowed room for maneuver. We named this as a deadlock condition, now it became more evident and everyone knows that the key which was not unlocked for a while is passed on to fraction dynamics. 1. European Union did not want a secular Turkey. They created Islamisation, so something called “moderate”, it was to create a malleable society, an obedient country which would be an enemy to labor and enlightenment. They almost managed to do this. Almost! They were convinced for the thought that Islam which was carried to the political sphere could be moderate; they had to be convinced, but they did not realize one fact: It was impossible for the European Union which is disabled with economical, political and strategic uncertainties to solve the compliance problems with Turkey. It won’t work. The result: The model of "let be both Islamist and also be at Europen Union’s back" has run into a stone wall. 2. USA did not want a secular Turkey. A Turkey which would snuggle towards the radicalised Arab world as its own hand, expand the borders of the definition of “moderate”, conduct jihadist who cut off heads, but meanwhile, stand on the “west”. They almost managed to do this. Almost! There were ends to the ruling of the Islam card with CIA mind by USA whose hegemony device is dispersed, which has very deep economic problems and is far away from creating a global attraction. They pressed in upon this end and the initiative they took knocked on their own door as a new title of crisis. The result: USA has lost its ability to rule political Islam. 3. How about Russia? Putin’s Russia did not mind a religious government in Turkey, too; as long as it maintained a balanced foreign policy and developed the economic cooperation. But Russia was right next to Turkey, the Muslim population both in Russia and neighbouring countries would be influenced by the religionization in Turkey and this would bring up solemn security problems. The fact that AKP did not force the war in Chechniya too much relieved Moscow. The easy life was thrown up in Syria! Now some people ask why the Soviet Union sent soldiers to Afghanistan; in fact a militant Islamic State in the most vulnerable region would be a nightmare for the Soviets. It became so indeed… A serious “radical Islam” problem in Tadzhikstan and some other countries remained after the resolution of the Soviet system. They strived hard to get rid of this threat. The plane was shot down, Erdogan was attempted to be overthrown, Russia helped him and so we came to today. The result is this: Russia has a difficult job with Islamist Erdogan. 4. This is the situation in Turkey. The capitalist system in Turkey wanted to get rid of secularism. It did indeed, there is no way back. But an Islamist political structure cannot settle down in Turkey. Yes, that is a deadlock. The ambassador was murdered, Erdogan is more indigent to Putin; on the other hand USA is now more angry at Erdoğan. Continue, you members of AKP! On the one hand, say that “provocateurs fired bullets to our rapprochement with Russia”, on the other, trail your coat for the sanctification of the conspirator policeman as a “martyr” in your neighbourhood. Maybe you break the back of this deadlock! Note: The answer to the question who killed the Russian Ambassador is overt: All of them, Putin included!